There was no missing the sense of pride (and happiness, of course) resplendent on H.E. Sheikha Bodour Bint Sultan Al Qasimi’s face as she, with UAE Supreme Council Member and Ruler of Sharjah, H.H. Sheikh Dr. Sultan Bin Mohammed Al Qasimi, sitting beside her, watched the first cohort of entrepreneurs graduating from Sheraa’s accelerator program present their respective startups at its Showcase Day in February. It was a momentous occasion for her, no doubt- as Sheraa’s Chairperson, Al Qasimi had been a part of this program right from its conceptual stage, and now, she was bearing witness to the results of her and her team’s efforts since Sheraa’s launch in January 2016. And for the record, Al Qasimi and her team at Sheraa seem to have certainly delivered on that premise. The entrepreneurs who pitched their startups at the Showcase Day were remarkably cool and confident, and it was hard not to miss the refined business models they presented for their enterprises in sectors as varied as gaming and F&B. Indeed, the Sheraa team’s prowess in selecting enterprises was easy to see, as was the effectiveness of their coaching and incubation efforts at their location in the American University of Sharjah. 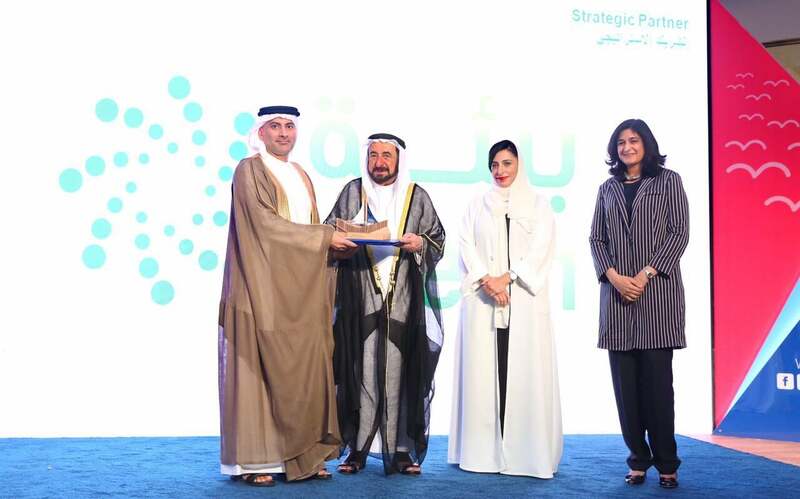 "Sheraa reflects our faith in the ability of our youth to make a difference, and to contribute positively to the prosperity of our economy and the development of our society," Al Qasimi says. With all that it has accomplished so far, the importance of Sheraa as an institution cannot be understated. 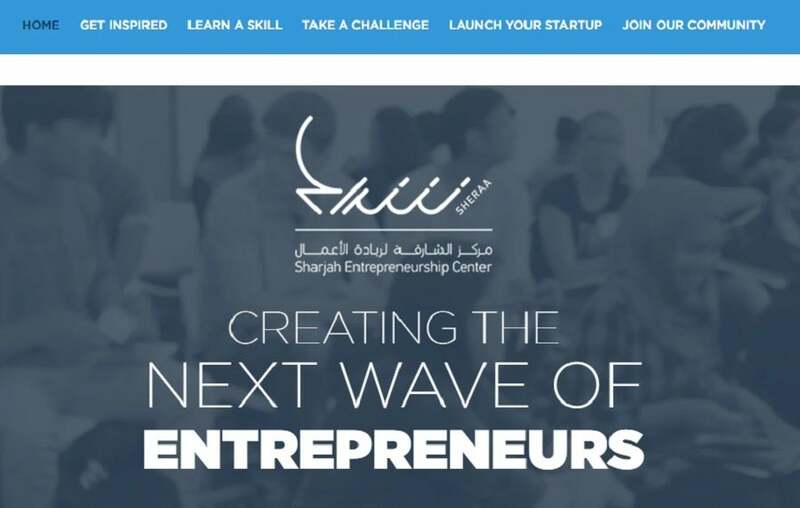 “While there are excellent schools and universities which teach students business management and critical thinking skills, platforms like Sheraa are able to channel this knowledge towards building enterprises and turning theory into practice, bridging the skills gap that exists between what industries need and what academia currently provides, mentoring young entrepreneurs, and building locally relevant businesses,” Al Qasimi notes. 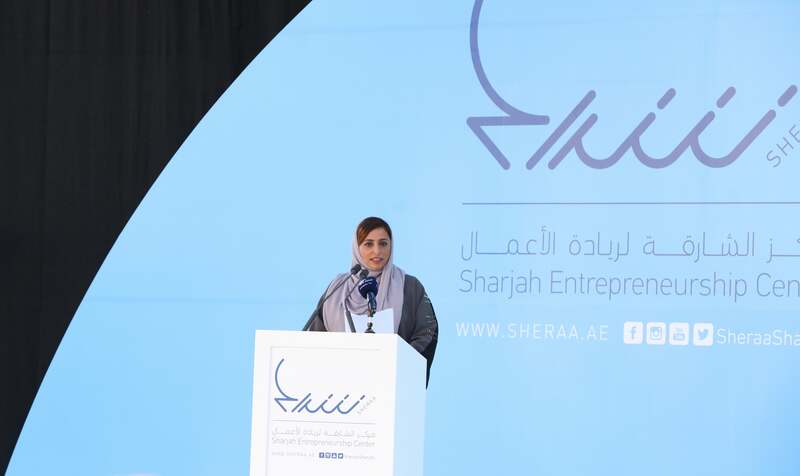 Sheraa’s presence in Sharjah is also significant considering that it is a major step in presenting the Emirate as a new hub for entrepreneurial talent in the UAE. “Aligned with Sharjah’s economic vision to transit from diversification to innovation, Sheraa was set up to cater to the rising energy and desire towards successful entrepreneurship, for which we are developing the Emirate’s existing infrastructure,” Al Qasimi says. “We feel it is our responsibility to promote a mindset of challenging the difficult and the impossible, by planning a sustainable future for civil communities.” This transformation of the Emirate is also aided by the fact that it is, already, attracting a large number of people owing to the educational institutions housed in it. “Sharjah has long established its credentials as a hub for education and human capital,” Al Qasimi explains. “Welcoming a diverse mix of students who bring inspiration and innovation through their thoughts, ideas, skills and creativity from various parts of the world, Sheraa taps into this spirit at an early age and hones their skills. It is a catalyst for increased interest in establishing and investing in small and medium businesses, with the purpose of living a life less ordinary, moving away from their comfort zones to explore the path of entrepreneurship. The country’s vision of embarking on a path of innovation and developing a knowledge-based economy is also inherent in Sharjah’s ambitions and aspirations regarding necessary infrastructure for startup-friendly environment." "With institutions like Sheraa, I believe the Emirate is well positioned to become a regional base for entrepreneurship.” It must be noted here that Al Qasimi’s support of entrepreneurs is not something new- she has long been a champion for innovators and thinking differently, and her role at Sheraa is just an extension of this personal premise. When I ask her what’s her personal mission or dream that drives her to do all that she does, her reply is an indication of her far-sighted approach to securing the UAE’s future. “We must always bear in mind that nothing is more important to a nation than its continuity, its next generation,” Al Qasimi says. Sheraa graduates, strategic partners and key players at Sheraa’s Showcase Day with H.H. 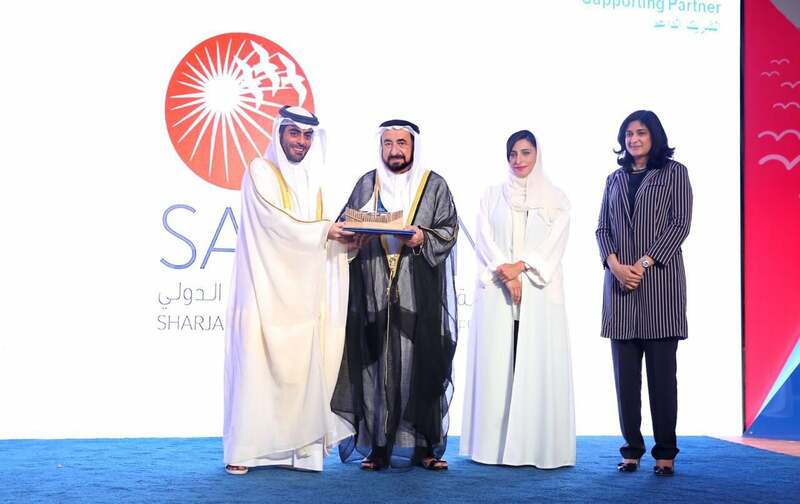 Dr. Sheikh Sultan Bin Mohammed Al Qasimi, Supreme Council Member and Ruler of Sharjah, and H.E. Sheikha Bodour Bint Sultan Al Qasimi, Chairperson of the Sharjah Investment and Development Authority. “The first and undoubtedly most important thing when starting a new business is for it to involve something that you are personally passionate about. This is what instills the will to make it a success. You should not consider a new venture if you are merely looking at it as a way to make money. You will need drive and energy to keep a business going when times get tough –which invariably will happen- and these qualities will be in short supply if the venture is not something that is all-consuming for you. You also need others, who have already launched their own businesses, to talk about pitfalls and drawbacks that you might not anticipate. My experience is that people often see their own proposed business through rose-tinted glasses. In their mind’s eye, they imagine it to be a runaway success from the word go, and often fail to take into account issues that can easily derail it. 1. CARTPOOL is a crowdpowered platform that facilities group buying for individuals giving them access to significantly reduced prices. The platform lists niche products specifically targeting millennials. 2. CAMEL GOAT INTERACTIVE is an indie video game company for gamers who want to experience creative, meaningful and story-driven adventure games. 3. HAMZA uses the latest findings in natural language processing to facilitate the creation of high-quality Arabic content. Hamza is a writing enhancement platform that corrects spelling and grammar mistakes, and provides style enhancement suggestions. 4. JUXTAPIECE, created using unique technology, produces modern, handcrafted, customized art pieces using a variety of wood types and styles as the primary material. 5. MOGZ is a collaborative educational platform that enables university students to connect, share study materials and find peer tutors. 6. TAYAR’s hardware and software solution allows users to monitor and control electrical devices through their smartphones, and also strategizes methods for more efficient energy consumption. 7. YADOH FATIMA is an F&B startup that brings the traditional Emirati breakfast experience back with efficiency and affordability to employees in government entities. 8. THE MAWADA PROJECT creates skill-building community engagement programs for children, providing them with transformative experiences that shape them into young leaders of the future. 9. YALLA PICKUP is an app that allows customers to connect to pickup truck owners in a secure, affordable way. 10. KEZA is a seamless technology platform that aims to streamline the F&B industry from the dining experience to the management of restaurants.